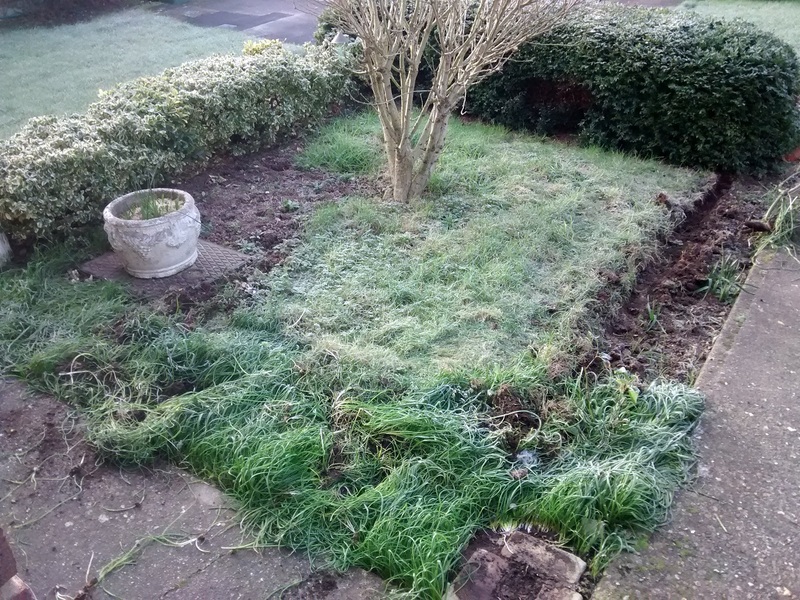 This Barming front garden had a small patch of grass which took more energy getting the mower out than actually cutting it. 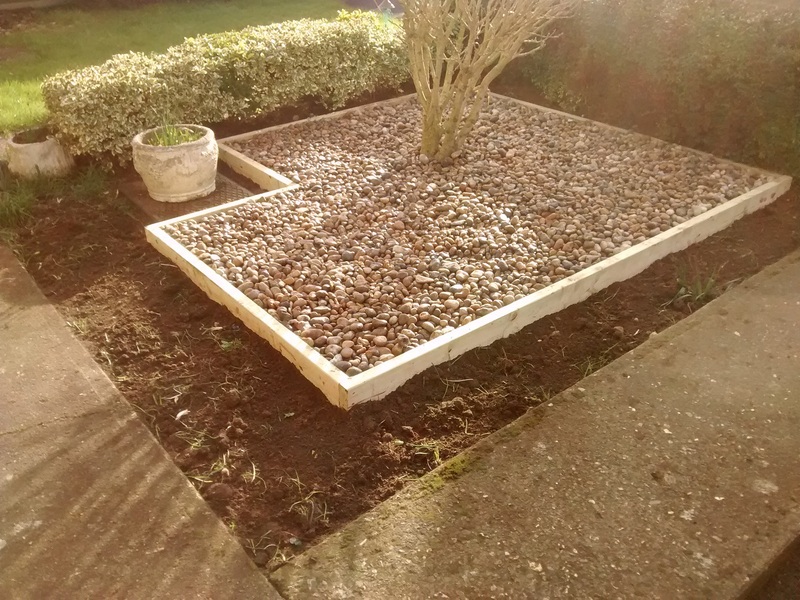 The customer wanted a simple low-cost solution but something a bit different from standard gravel or slate and wanted to retain the borders for flowering plants. We suggested 20-40mm rounded pebbles over woven weed-suppressing membrane bounded by treated 6" x 2" timber. The grape hyacynths had taken over so we dug out them out and prepared the borders for new planting. After putting up with her problem front garden for too long, within half a day the problem was solved and the customer said she was 'over the moon'.